We do it all! 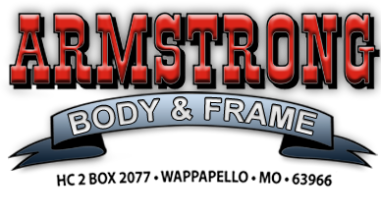 Body work, fiberglass repairs, frame straightening, auto sales and parts sales! Please call us at 573-222-7171. We welcome all customers whether they have an insurance claim, or are paying out-of-pocket. Our technicians specialize with all makes and models of trucks, cars, SUV’s, and semi truck repair. With 29 years of combined experience you can rest assured that your vehicle will be repaired properly and in a timely manner. Check out our Vehicles For Sale page. If you are unable to find that special vehicle you are looking for call us we might be able to locate it for you. We specialize in salvage repair so our vehicles are often priced lower than dealerships retail values to help save you money. Check out our Parts For Sale page. You will find numerous parts available from our stock. If you can’t find the part you need call us we would be glad to help you find it. Our friendly staff will work to ensure your complete satisfaction.